Product Features: \r\nThis Pillowcase Is Top Quality, Durable And Environmentally Friendly Which Makes You Feel Comfortable. \r\nThe Zipper Glides Smoothly And Allows Easy Insertion And Removal Of Pillow Inserts, Can Unpick And Wash. \r\nONLY Pillow Cover, WITHOUT Insert! Size: 18 X 18 Inch, 45cm X 45cm \r\nWITHOUT Insert! 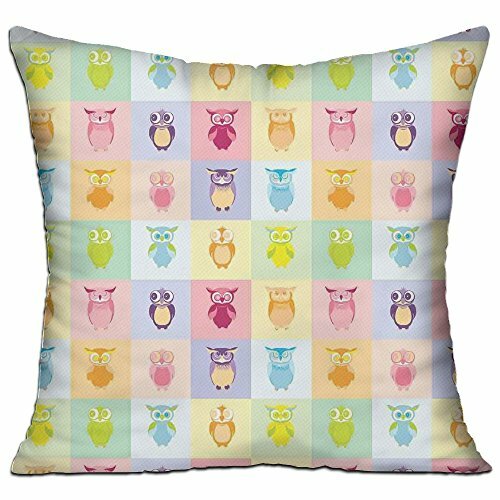 Great Gift For Friends,couples,workmates,etc.\r\nDecorate Your Home With This Attractive Pillow Cover. If you have any questions about this product by HAIXIA, contact us by completing and submitting the form below. If you are looking for a specif part number, please include it with your message.